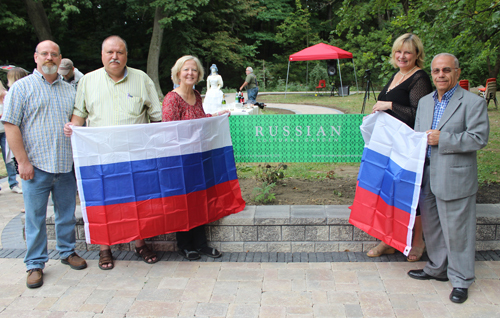 The Cleveland Russian Cultural Garden has been a work in progress since 2011 when Svetlana Stolyarova, Dr. Boris Vinogradsky and Sergio Lebid formed a committee to create a Russian garden in the Cleveland Cultural Gardens chain of gardens. 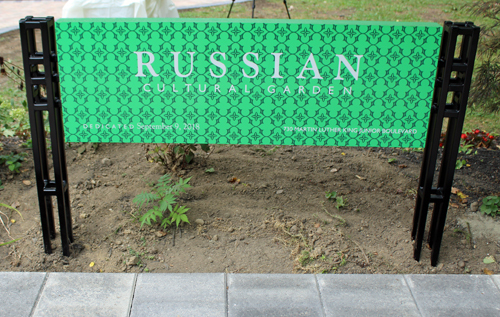 We believe that Russian culture is one of the world's most diverse and interesting. 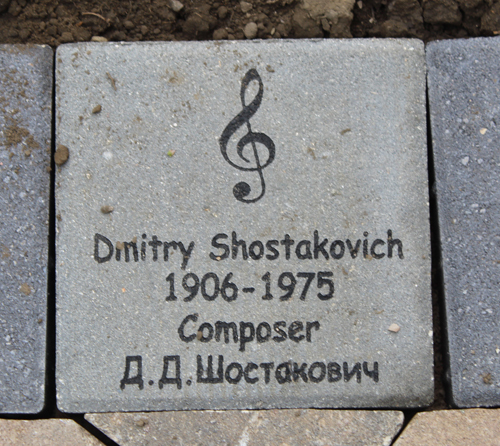 Russian culture in America deserves to be explored, represented and promoted. 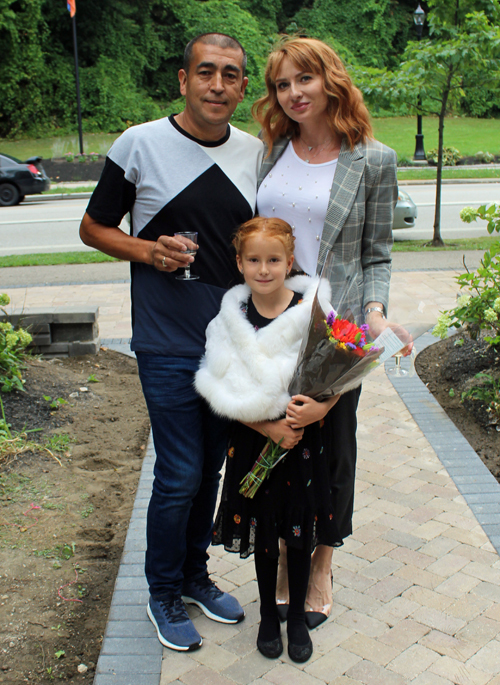 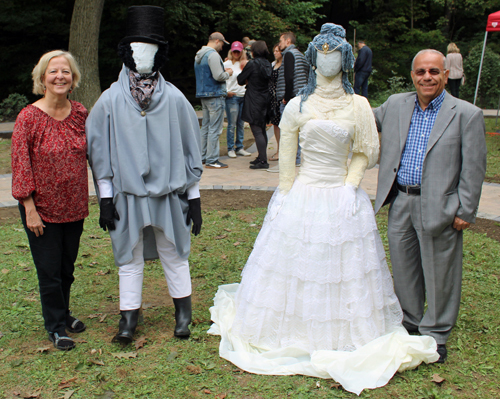 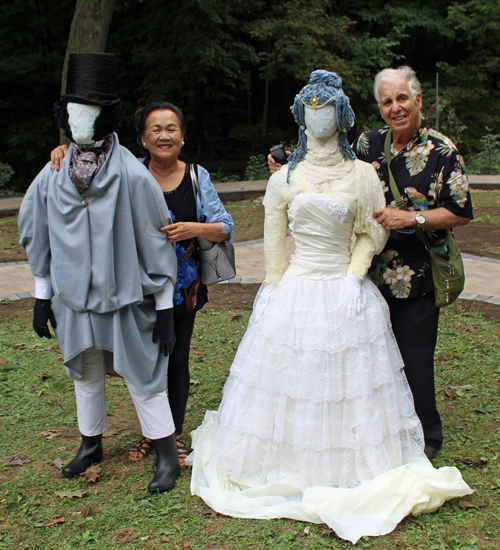 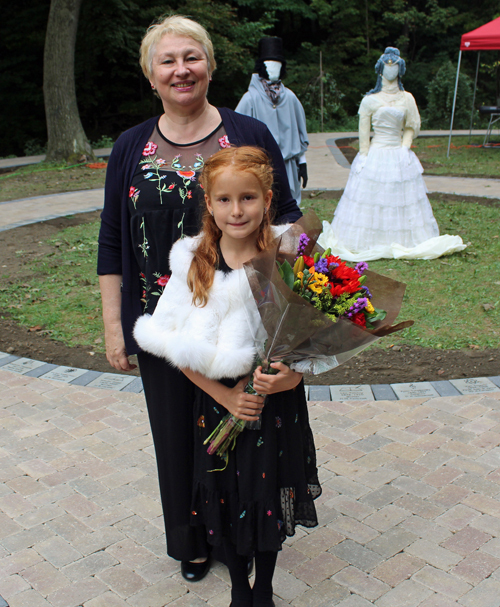 The formal dedication of the Russian Cultural Garden was held on Saturday September 8, 2018. 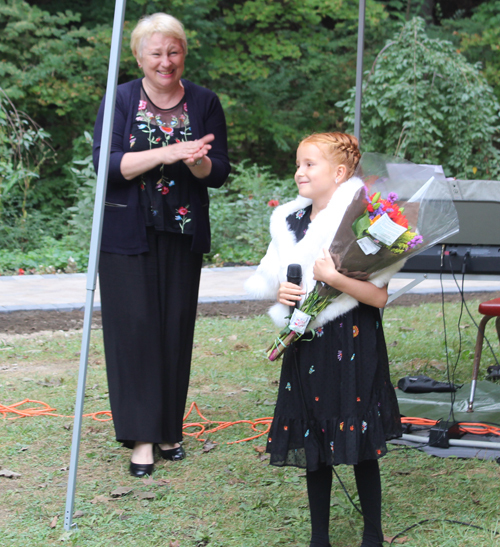 Svetlana Stolyarova served as MC and gave a little history of the Russian Garden. 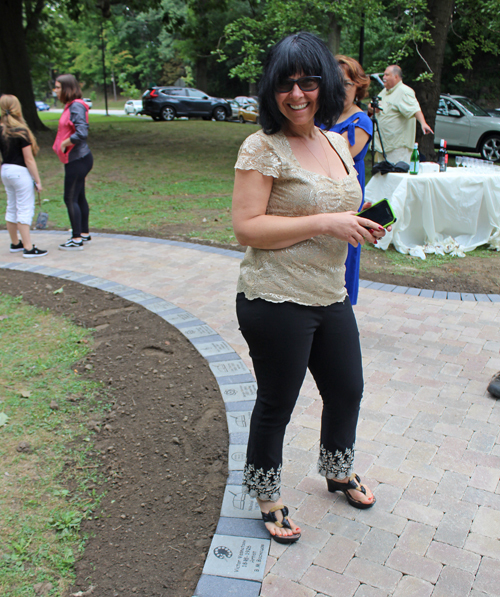 She told how the Garden came to be and thanked the people who helped make it a reality. 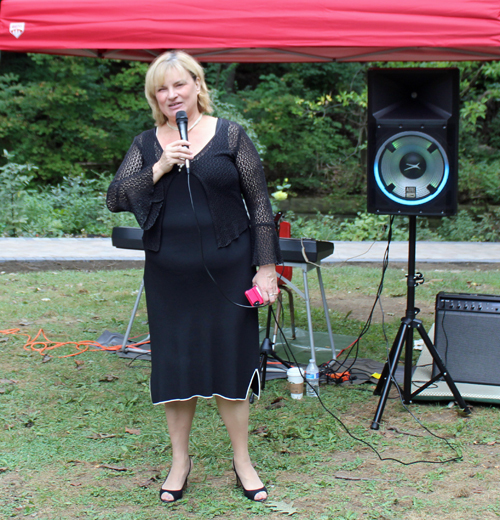 She also thanked and recognized leaders from the Cleveland Cultural Gardens Federation who were in attendance. 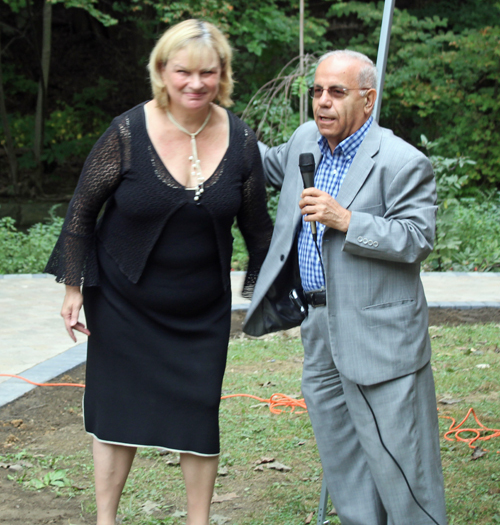 Svetlana then introduced Cleveland Cultural Gardens Federation president Dr. Wael Khoury. 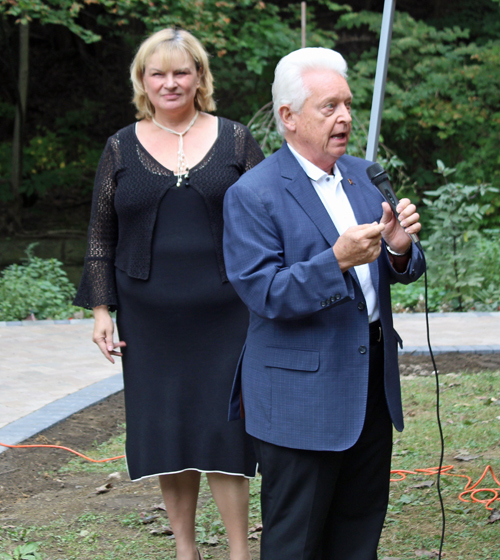 Next, Svetlana introduced board member Ken Kovach. 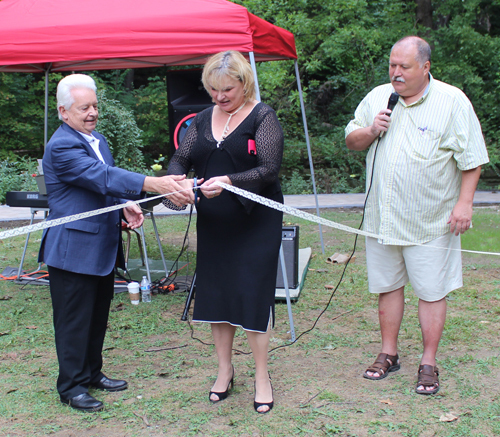 Next, Svetlana called up Dr. Boris Vinogradsky and board member Ken Kovach to cut the ribbon on the Russian Cultural Garden. 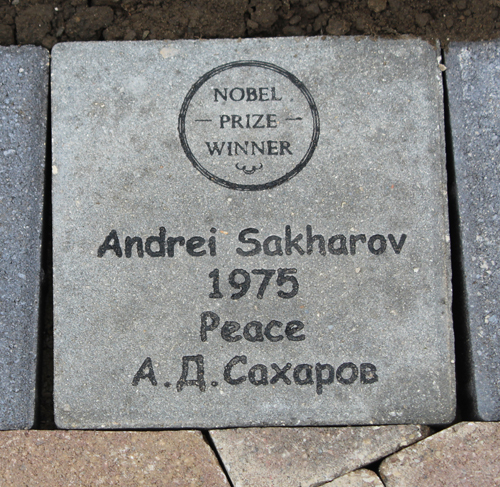 The Walk of Fame was a featured part of the first phase of the Russian Garden. 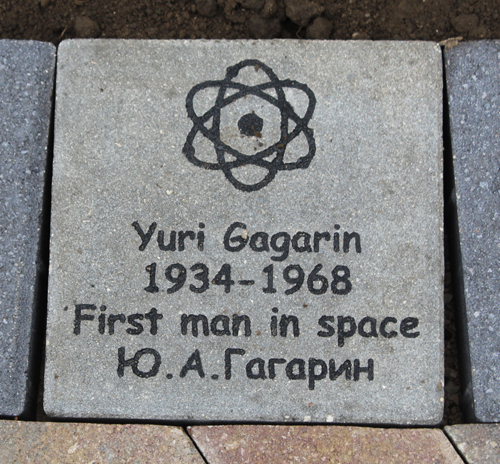 Here is a quick video look at the first ring of the Walk of Fame honoring Russian cultural and scientific heroes such as Yuri Gagarin, Leo Tolstoy, Aleksandr Solzhenitsyn, Dmitri Shostakovich, Vladimir Nabokov and numerous Nobel Prize winners. 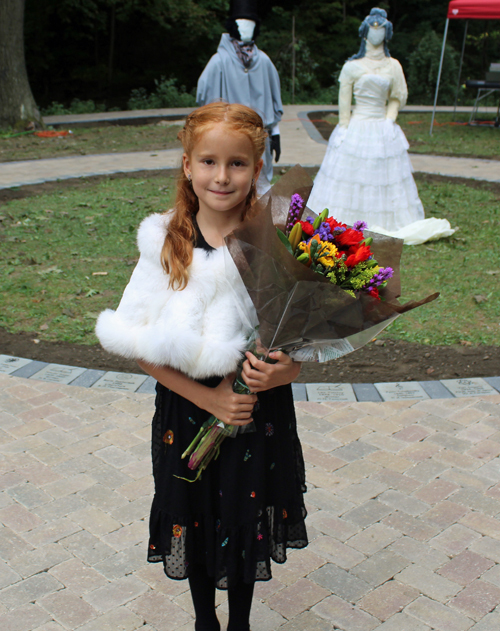 6 year old Eva made only her second public performance ever at the dedication of the Russian Cultural Garden. 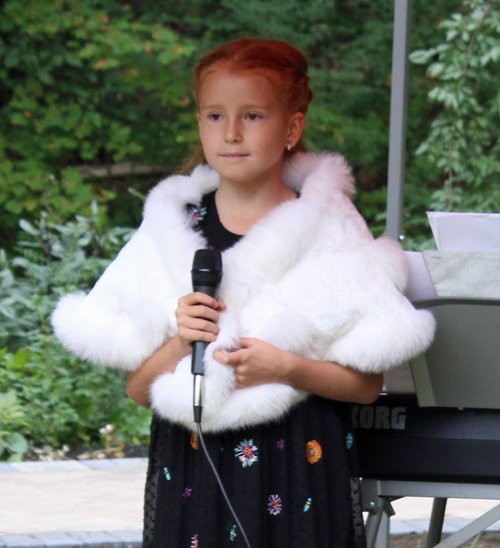 She is a student of Olga Druzhinina who accompanied her on keyboards. 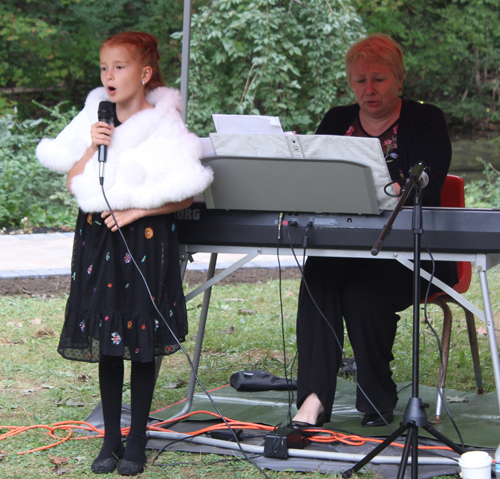 Eva sang My Little Garden by Tchaikovsky. 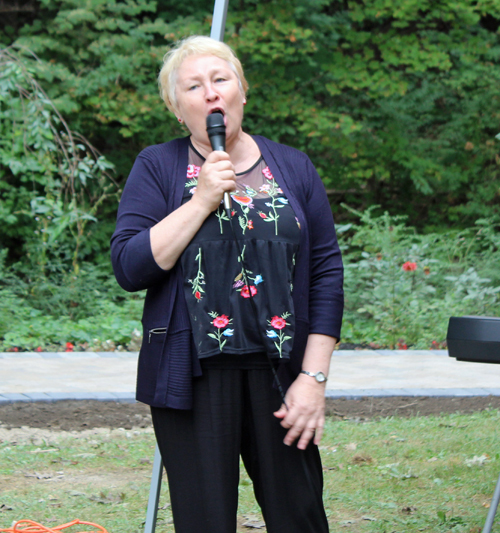 As attendees lifted their champagne glasses, Olga Druzhinina sang Zazdravnaya - loosely translated as Let us lift up the cup, let us have fun; let us be happy, etc. 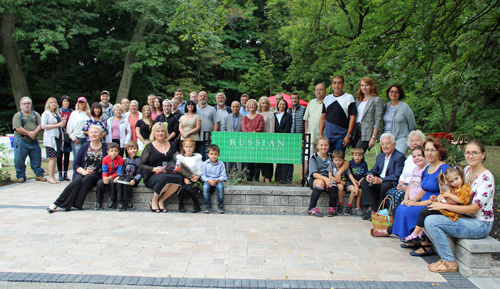 After the dedication of the Russian Cultural Garden and the champagne toast some of the attendees gathered in front of the new sign for a group photo. 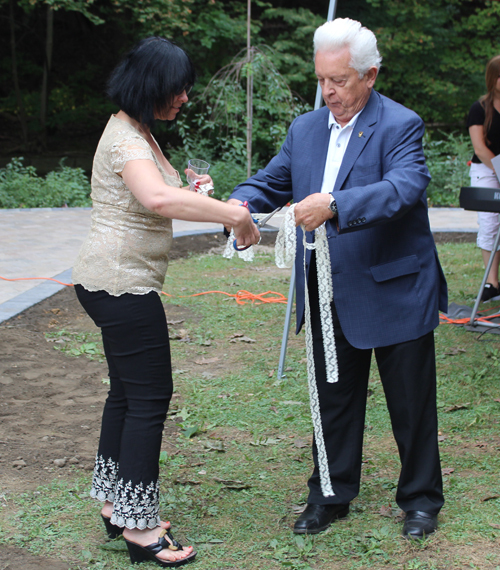 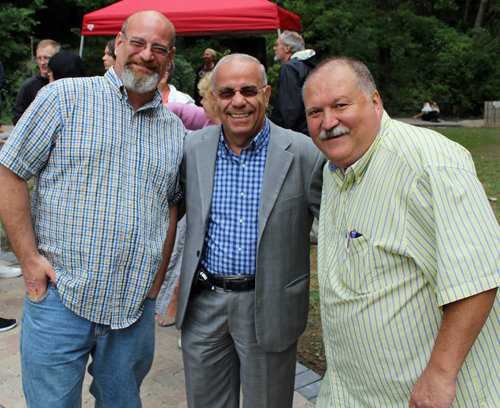 Enjoy these other images from the dedication of the Russian Cultural Garden. 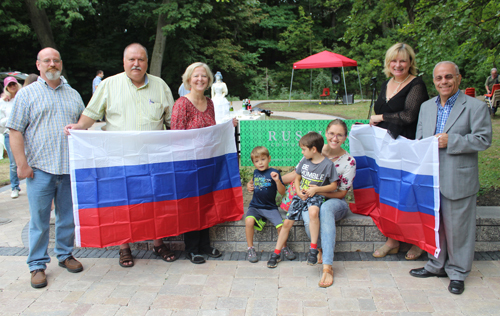 Stay informed about the local Russian community by signing up for the free Russian eNews mailings. 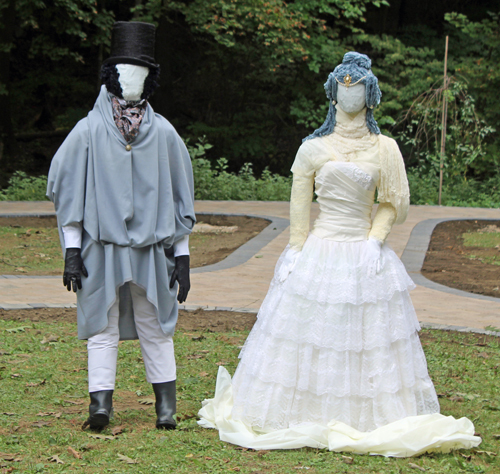 You can select other groups as well. 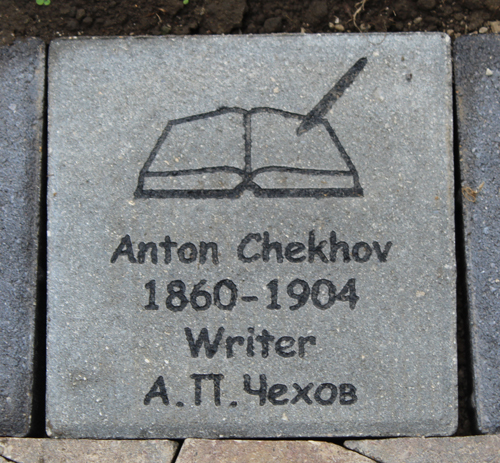 It's easy and free. 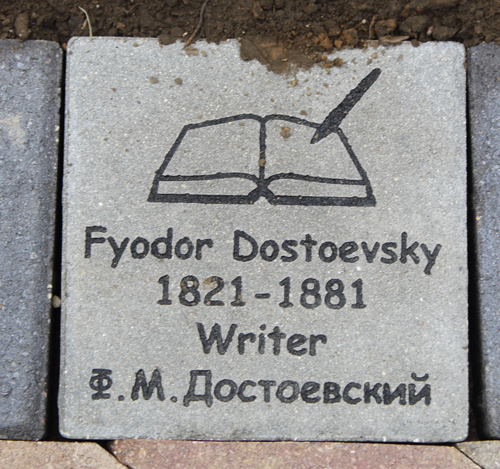 Fill out the form for the free Russian eNews. 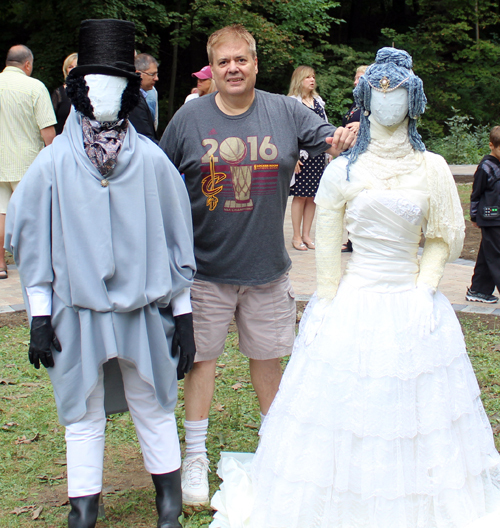 Want to learn about ethnic and cultural events in Cleveland such as this? 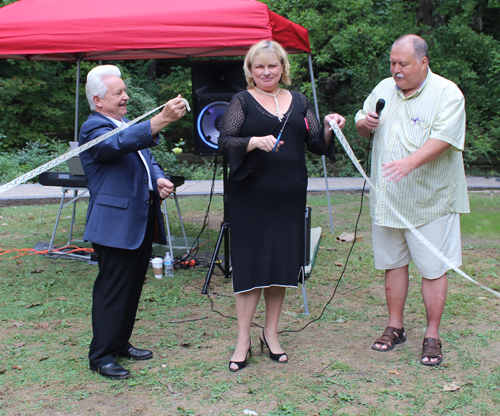 Sign up for the free eNews and every Tuesday evening you will receive a free e-mail listing the next week's events. 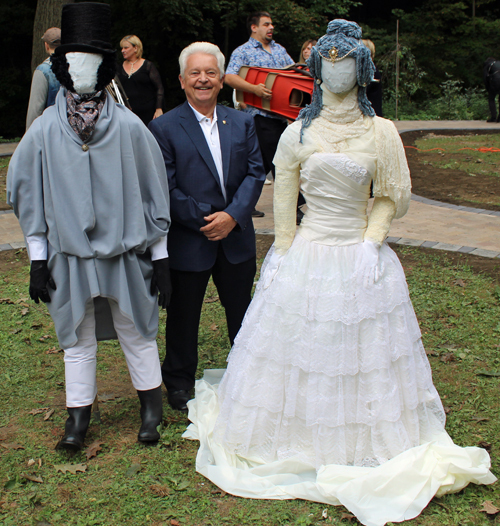 Congratulations to Svetlana and Boris and other leaders of the Russian Cultural Garden on this historic event. 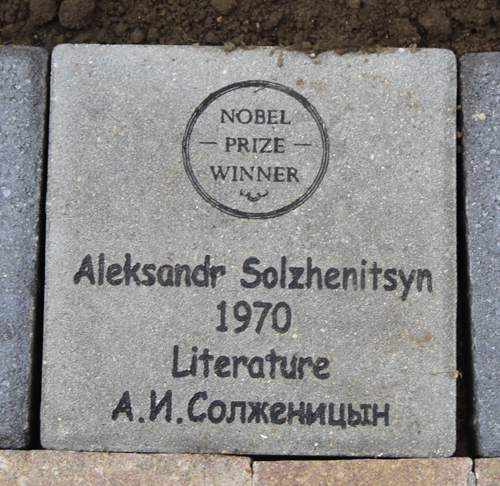 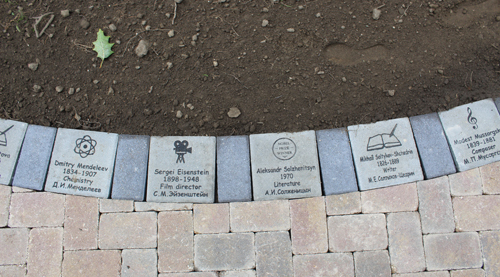 Here are a few other bricks from the Walk of Fame in the Russian Cultural Garden. 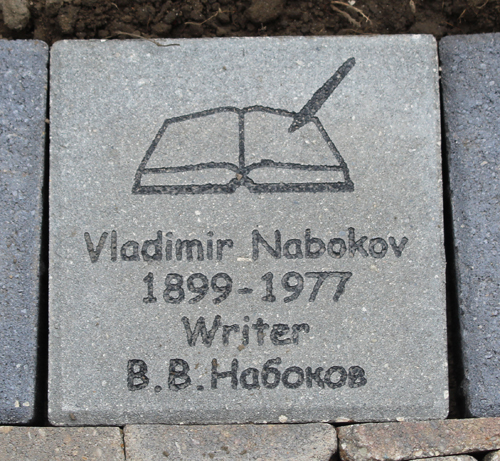 Your message could be HERE! 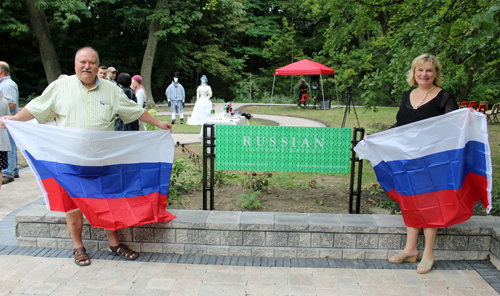 Please support the Russian pages of ClevelandPeople.Com. 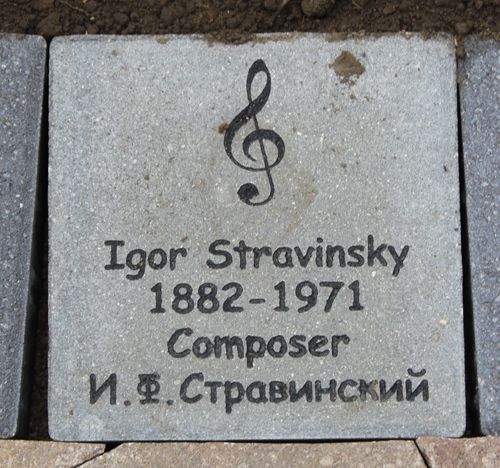 If you want to reach the Russian community in Cleveland and Northeast Ohio, please contact us.